If you love sushi, be sure to play Sushi Bar Express! 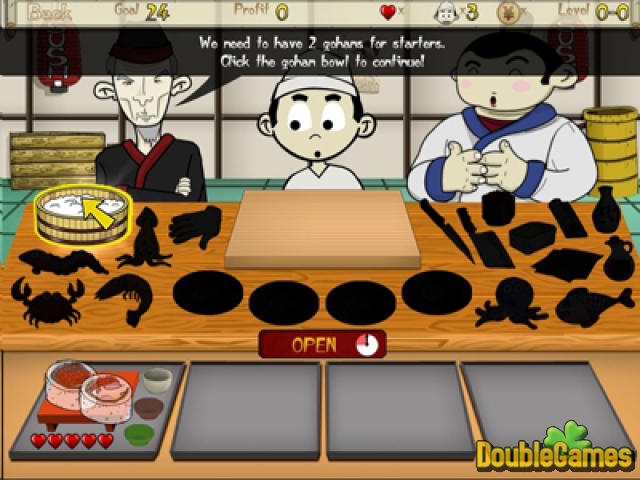 This amusing game allows you to open your own sushi bar, as well as to take several lessons on cooking of one of the most popular oriental dishes! What will your restaurant look like? What recipes will you offer to your visitors? It all depends only on you! Of course, the more time and effort you spend on the development of your bar, the richer will be its range of dishes and the cozier will look its interior. Work in good faith, please your customers and the profits shall not be long to wait! Sounds promising? Download Sushi Bar Express for free to try your hand at running a sushi bar! 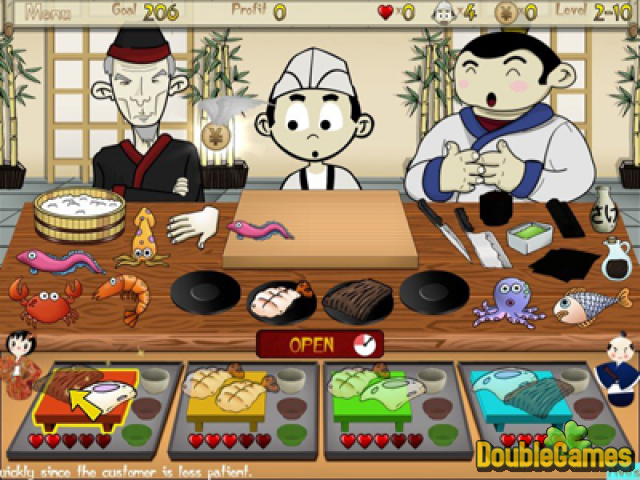 Title - Sushi Bar Express Game Download for PC Description - Find Sushi Bar Express, a Time Management game devised by Layernet. Turn your undistinguished sushi bar into a trendy oriental restaurant!